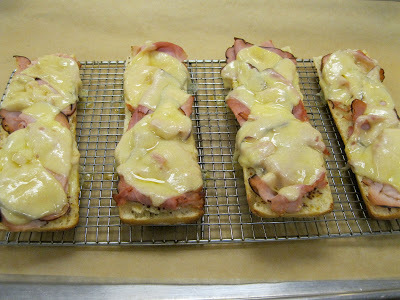 Is there anything better than a ham and cheese sandwich?! 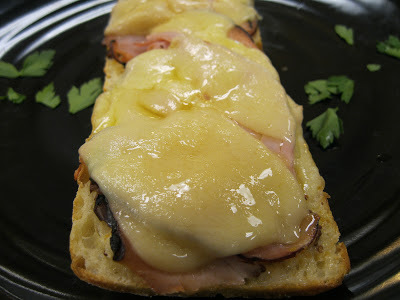 Melted swiss, sweet and savory Black Forest Ham sliced thin with a little tang from stone ground mustard. Mmmmm. Serve with a side of roasted vegetables, shredded brussel sprouts or a lightly dressed green salad. Preheat oven to 350*F. Line a cookie sheet with parchment paper or foil, set a metal cooling rack on top of covered cookie sheet. Cut fresh bread loaf in half then slice lengthwise. Spread mayo and mustard on each piece of bread, dividing evenly. Layer with slices of ham, dividing evenly among sandwiches; top with 2 slices of cheese per sandwich. 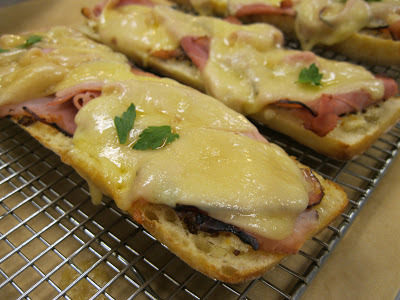 Bake sandwiches for 5-8 minutes in top third of oven, until cheese is melted.